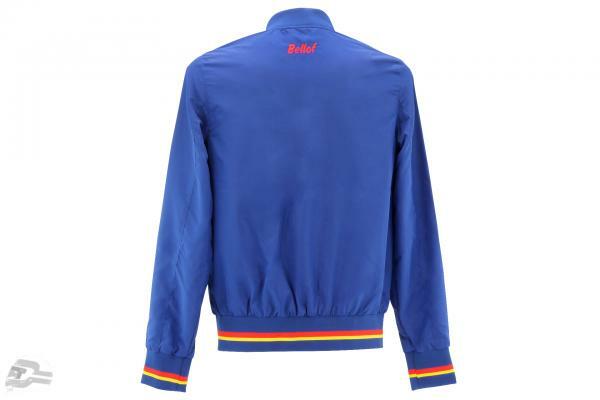 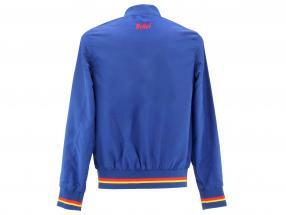 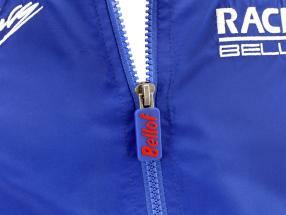 Fashionable blouson in strong blue. 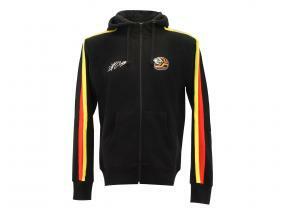 Set with red and yellow stripes at the waist and the sleeves. 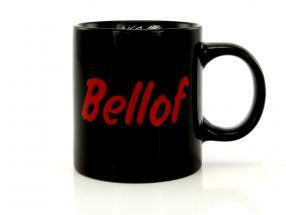 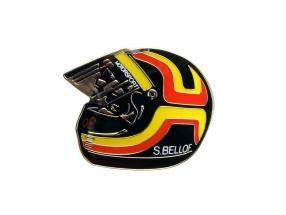 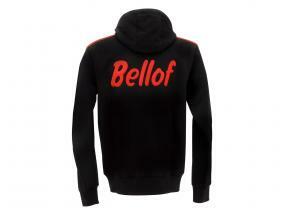 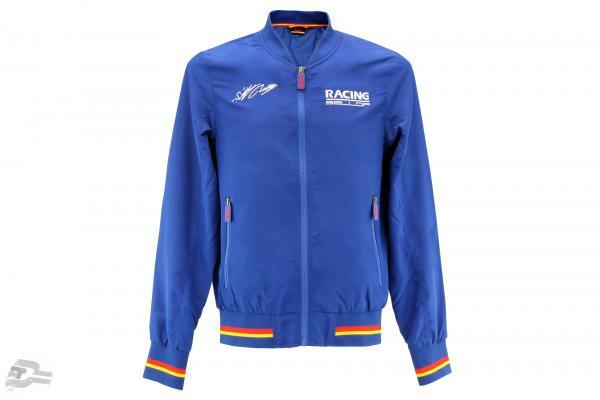 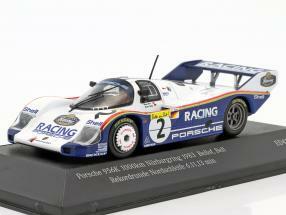 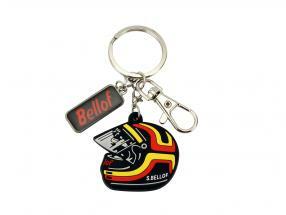 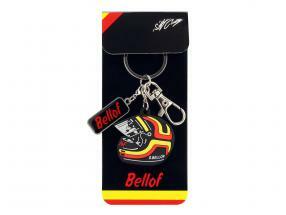 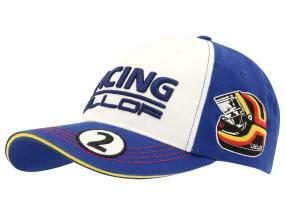 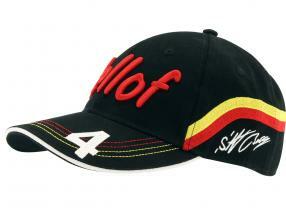 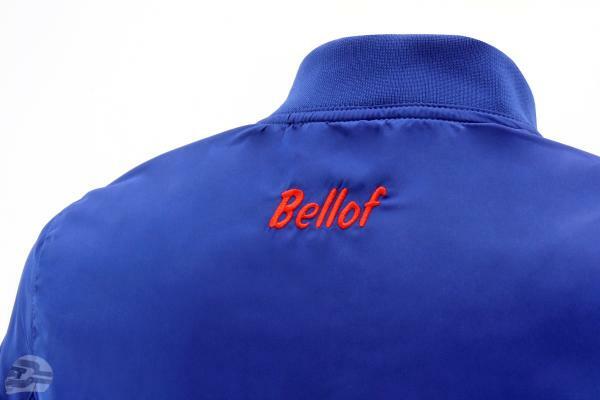 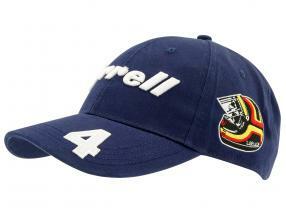 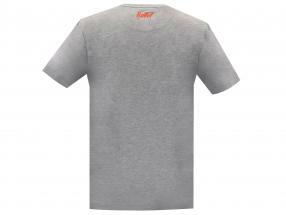 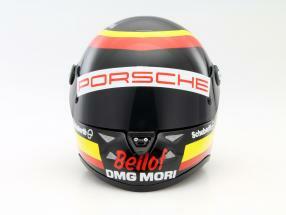 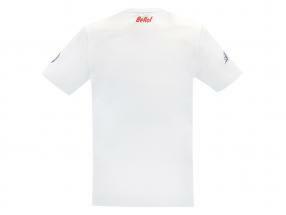 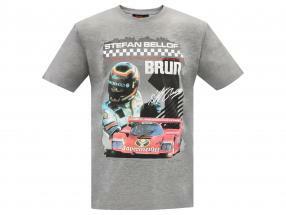 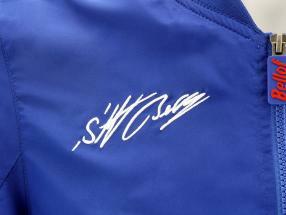 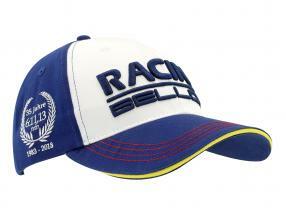 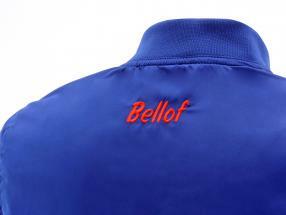 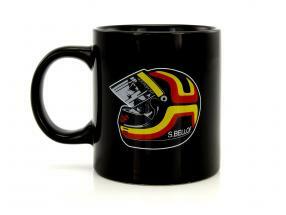 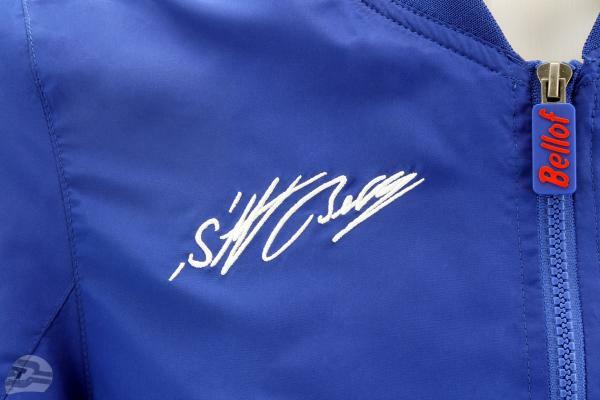 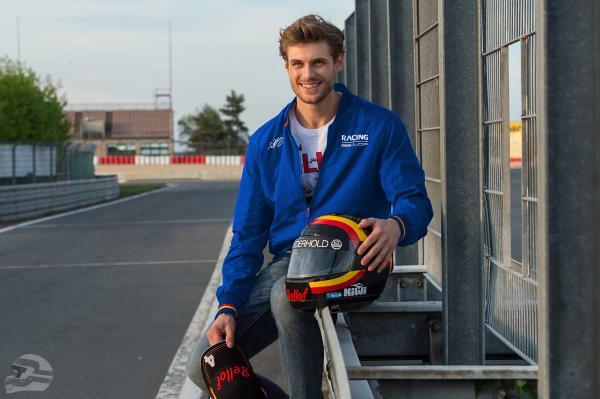 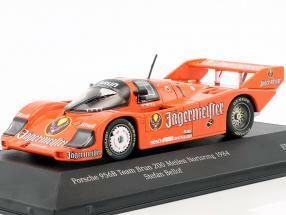 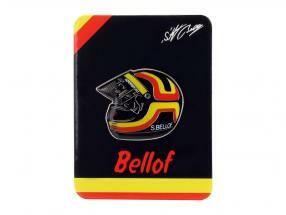 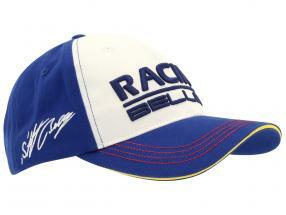 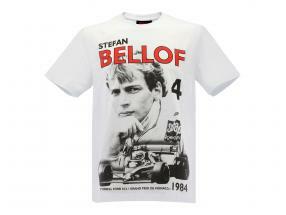 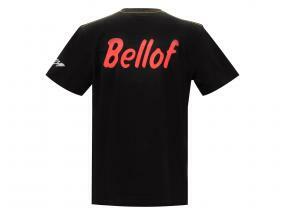 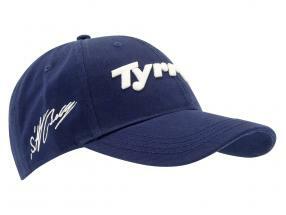 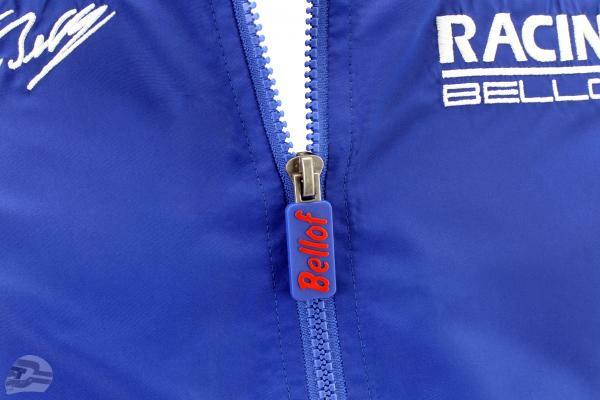 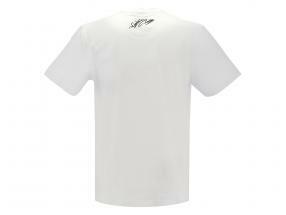 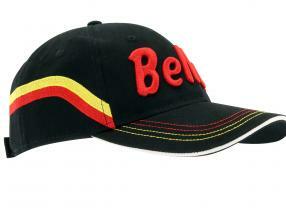 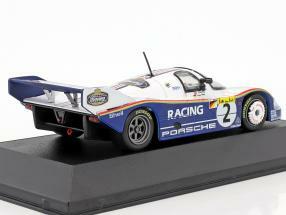 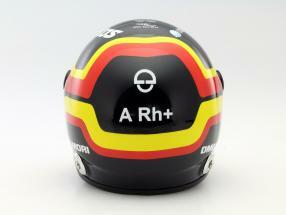 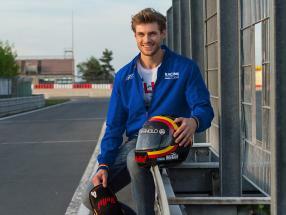 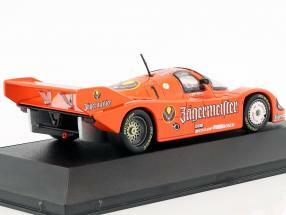 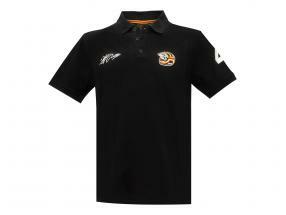 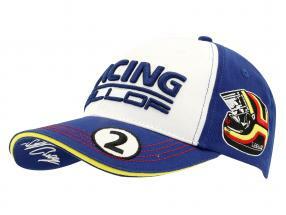 With stitched signature and RACING / Bellof lettering on the chest.